Earn 1 Point for every $1: Get 84 points rewarded to you when you buy this item. 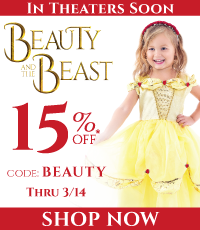 Purchase your princesses dress ups in threes! One for a birthday, one for Halloween, and one for Christmas! Or as one customer suggested: "One for every day at Disneyland"! 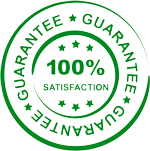 You'll get them at a special price for buying them together - 15% less than individual pricing. Choose any size combination you need and then choose your favorite 3 dresses (good luck narrowing it down!). Styles/sizes that are sold out will not show up as choices. Questions call 800-738-8156. Q: Are the accessories, such as the tiaras and cone hats, included with the purchase of the Deluxe princess dresses? A: Great questions! Those items are not included...for the most part. There are a few dresses that "include" the hair piece. They are the Cinderella Rag Dress, Mermaid Day Dress, Moana Replica and the Sleeping Beauty Day Dress. All the accessories you see though are available separately so let us know if you need help finding them. Q: Does the Satin Snow White come with gloves seen in the picture? A: Great question! The gloves are sold separately. 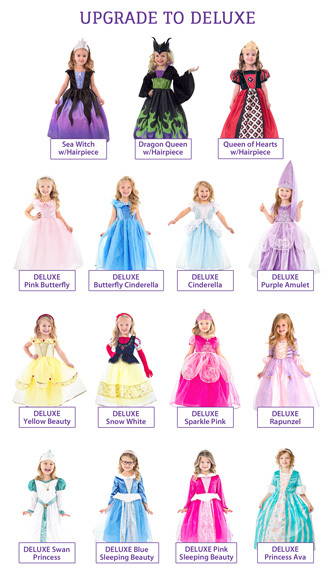 Q: Are the Belle, Snow White Satin, and Cinderella Little Adventures brand dresses? I love that brand and it looks like that's what they are. 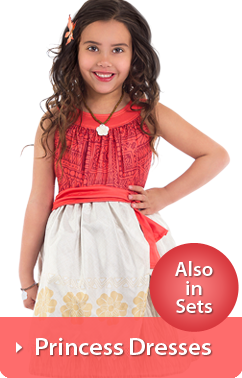 A: Yes, ALL the dresses in this set are Little Adventures brand. Q: Can any dresses be substituted for an additional charge? My daughter really wants the Sleeping Beauty short sleeve dress shown on your site. Long sleeves would be too hot for WDW. 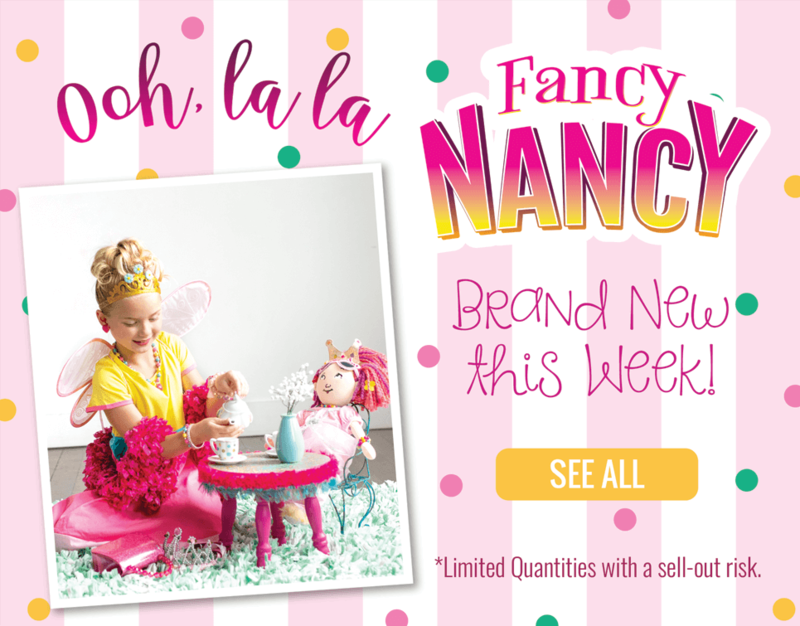 We also are considering ordering two more dresses that are offered in this set so if we could get the Sleeping Beauty dress we want plus the two in this set it would be great! We already have a few of your dresses and LOVE them! A: Definitely! The short sleeved Sleeping Beauty is called "Satin Sleeping Beauty" and is available as an upgrade choice in the list. Even better, the cost to upgrade is also discounted. Now there are a few princess dresses not on the list but only because the sizing is different than the others and the product page makes it difficult to convey that in the set of 3. So, if there is any dress you'd like to substitute, just give us a call and we can help over the phone. Q: Do you get a cardboard trunk to keep them in? A: This set comes with the dresses only. There is not a cardboard trunk to keep them in. Dresses came in two days, they fit perfectly, they are comfortable and well made, will be buying more, thanks!! Second order - still great! This is my second order with Little Dress Up Shop. My daughter outgrew her original Elsa dress so I ordered her another one plus the Sofia dress as a Halloween costume. And I ordered my older daughter the Rainbow Fairy dress. The quality of the dresses are great! They hold up so well after being washed. I didn't realize the Rainbow Fairy dress was a leotard with skirt so I should have ordered a size up since it is pretty tight on my older daughter. Overall, love the quality, fast shipping, and good prices. This is my second time ordering a princess set. I selected the Royal Pink Ballgown, Tiana Replica, and the Princess Bride Gown. All three gowns are made very well and are so comfortable to dress up in and wear. I have triplet granddaughters and they now have a total of nine dresses between them. They absolutely love dressing up and pretending. I will be ordering again in the future. I ordered these dresses late sunday and I received them on wed and 2 boot free shipping-great customer service-the sizing for the dresses is perfect and great quality-I couldn't have asked for anything more-my daughter is going to be so excited! I never write reviews but I had to do it for the purchase of 3 beautiful and well made dresses. They are simply lovely with good fabrics and the seams are finished so nicely. Nice attention to detail. My granddaughter who was turning 3 loved this gift. Have passed this website on to many of my friends. Great gift from Grams. 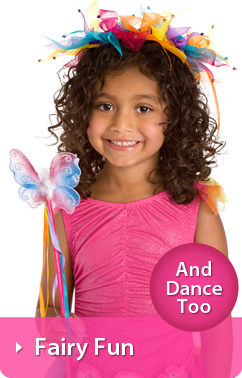 We now have almost every princess outfit from the little dress up shop and they are all fabulous. The quality is amazing and they are so easy to get on and off. I tell everyone I know about this website - truly the best!! !